Al Ahli Bank of Kuwait (ABK) recently sponsored the Al-Tomooh Sports Club for Intellectual Disabilities. 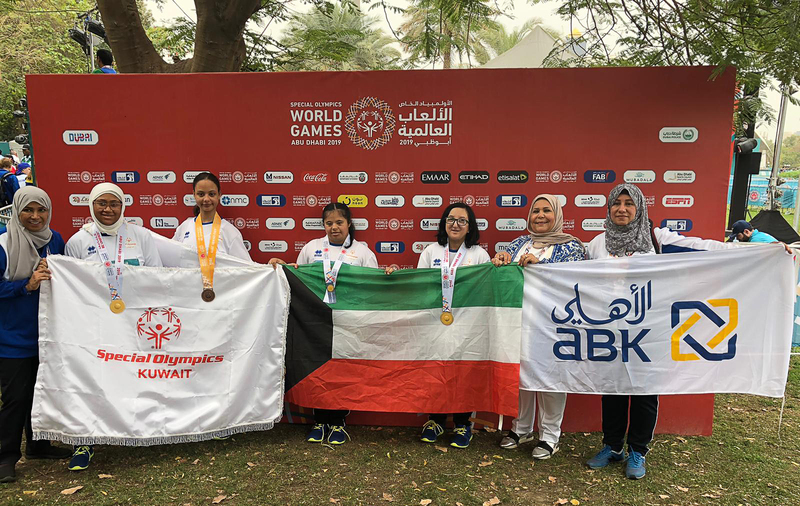 The Club represented Kuwait at the 15th World Special Olympics Games in Abu Dhabi in March, 2019. The Special Olympics event is the largest sports and humanitarian event globally that celebrates the inclusion and empowerment of people of determination through the power of sport. This major international sporting event will bring together more than 7,500 athletes from over 190 nations. Al-Tomooh Sports Club represented Kuwait at the event with 87 participants, 65 per cent being women, who will participate in nine games, namely basketball, football, bowling, handball, swimming, athletics, badminton, table tennis, and aerobics. ABK are advocates of inclusive, social and sustainable development, creating an all-encompassing equitable society is at the core of ABK’s CSR strategy, and through this sponsorship initiative, ABK is honoured to support the team and wishes them the very best while they support their country at the Olympic Games.